Bearing lithium Pegmatite veins intruded in granulitic-sillimanite-cordierite gneiss, leucogranites and granoblastic marble with tungsten-bismuth ores (Los Alemanes Adit in Puerto Mancilla). 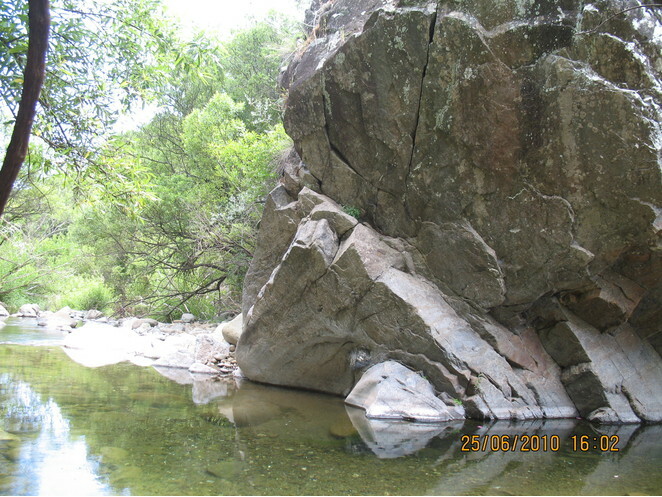 The site is boundary to the south with a small stream located in a low angle shear zone with paleozoic schist and graphitic phyllite. 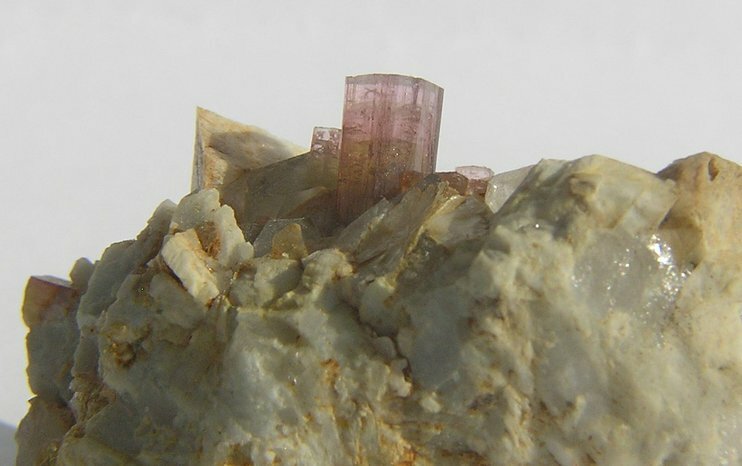 Rubellite crystal up to 2cm were found very rare in a pocket with reddish brown clay, microcline, quartz and schorl tourmaline. Also at the head of the basin close to the contact zone between lherzolites and granoblastic banded marble, a calcium skarn has been recognized. Mineral assemblage include vesubianite, tremolite, grossular garnet,epidote, clinoclore and clinozoisite. Graphite were also found in massive veins, subhorizontal shear zone in serpentinized peridotites and kinzigites. Romero Silva JC (2000). Rubellit Kristalle aus den Pegmatiten von Estepona bei Malaga, Spanien. Mineralien Welt Hefte nº5. Sept-Okt, pag 18-22. - Romero Silva JC (2003). 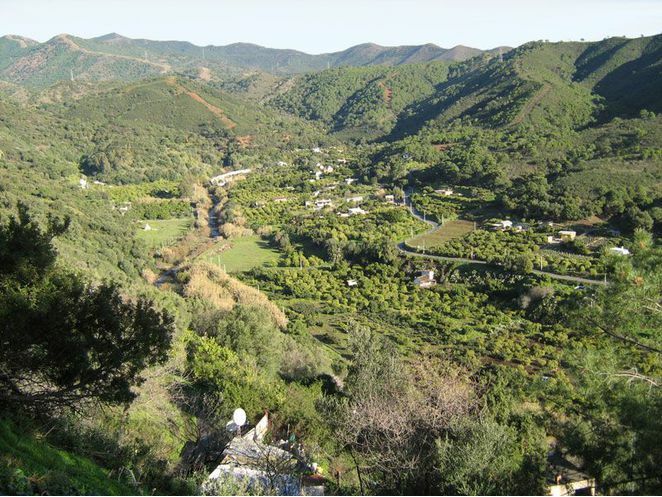 Minerales y Rocas de la provincia de Málaga. Edita CEDMA County Council of Malaga, 318pp. 1 Map.